When I first heard this tweeter in the Raven-TA, I was really disappointed. It sounded no better than a cheap mylar tweeter. Worse still, my speaker sounded completely off. I lost the mid-range and the bass was a complete blur. Something was going on. Having given it some thought, it occurred to me that maybe the problem lies with the ferrofluid. I suspected the ferrofluid was over-damping the voice coil. I proceeded to dis-assembled the tweeter and managed to remove all the ferrofluid. After re-assembling the tweeter and testing it again, the Raven-TA came alive. A word of caution. 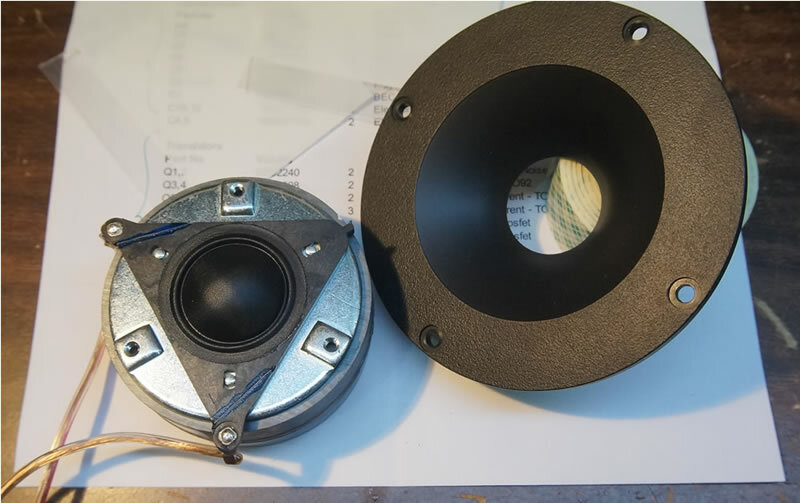 In removing the ferrofluid, the power handling of the tweeter is reduced. So, if you intend to play your speakers at crazy levels, you may just want to retain the ferrofluid. However, if you value sound quality over loudness, you will not regret this simple mod. The difference is astonishing. STEP 1 – Remove the 3 metal clips holding the waveguide to the magnet. Lift the waveguide away. You will now see the diaphragm assembly. Gently lift the diaphragm to gain access to the gap. 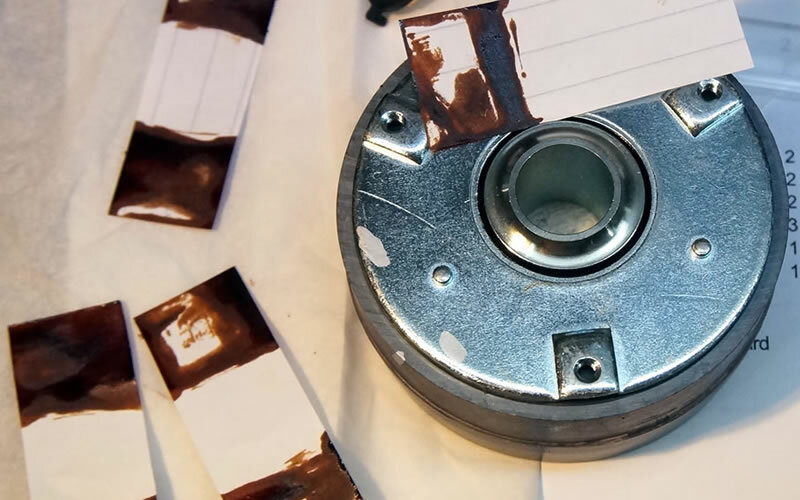 STEP 2 – Use paper to soak up all the ferrofluid in the gap. Once all the oil is removed, soak a piece of paper with a bit of Ronsonol lighter fluid and clean the gap again. This will remove all remnants of the ferrofluid. 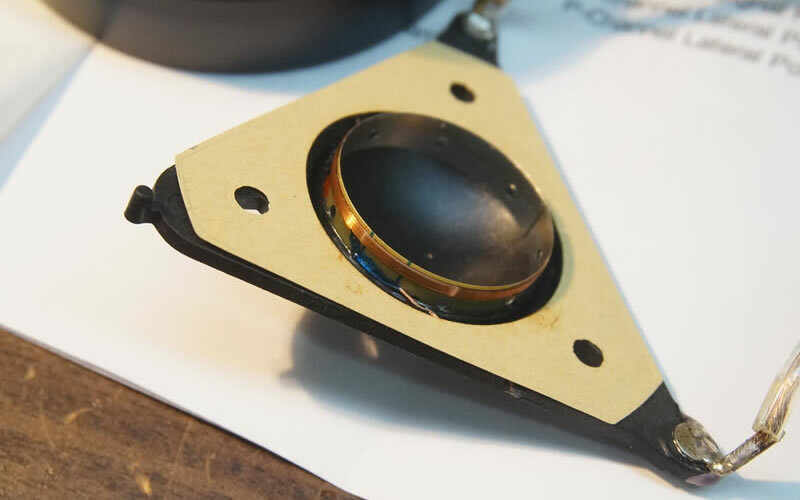 STEP 3 – Gently remove all ferrofluid from the voice coil and the underside of the collar. You can use a Q-tip for this. Re-assemble the tweeter and hear her SING.